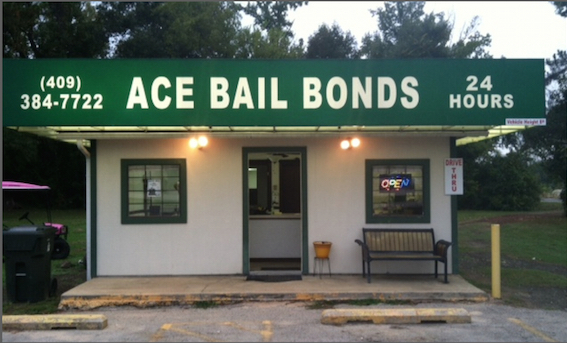 For fast releases, cheap prices, and unbeatable service, Ace Bail Bonds is the right choice for you. Bonding someone out of jail can be frustrating, that is why one of our professional Jasper County bondsmen will be there to walk you through the entire bail bonds process. We handle all types of bonds including felony, misdemeanor, and any other type of bond you need assistance with. Don't wait! Call Ace Bail Bonds Today! We are standing by, ready to help. For assistance, please call (409) 384-7722 or stop by our convenient location at 100 Burch, Jasper, TX 75951. We handle any and all types of bonds in Jasper County, Newton County, Tyler County and Sabine County. We serve all cities in Jasper County, Newton County, Tyler County and Sabine County including Jasper, Buna, Evadale, Graham, Kirbyville, Sam Rayburn, Newton, Deweyville, South Toledo Bend, Woodville, Warren, Ivanhoe, Chester, Colmsneil, Hemphill, Pineland and Milam.